The Sheriff's Community Work Program (SCWP) is the least restrictive of all the Sheriff's AIU programs. This program requires sentenced defendants to perform a specific number of hours or days of community service. Random breath tests and drug tests may be performed, but supervision of offender's personal life is minimal. 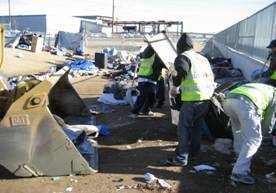 If the participant fails to complete the community service, SCWP Deputies actively pursue offenders referring them back to the Court or arrest them for Failure to Comply. SCWP participants are typically low risk offenders with no violent felony charges, no current violent misdemeanor charges, no record of escape, and no open charges. 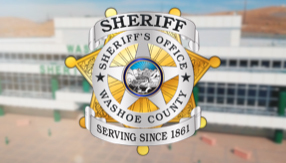 This program is critical in meeting the Washoe County Sheriff's Office and the Washoe County Board of Commissioner's mission of maintaining a safe, secure and healthy community. An offender is diverted away from incarceration at the expense of the taxpayer by giving them the opportunity to serve their community. Offenders provide essential support and thousands of hours of labor to the community at no cost through this program. Various types of community-support work are completed through this program. 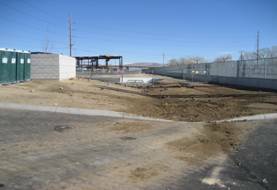 Tasks include but are not limited to: cleaning animal cages, mucking horse stalls, painting schools, roadside litter clean up, janitorial work and general maintenance at numerous government buildings and grounds. In Fiscal Year 12/13, The Sheriff's Community Work Program had an average of 1,043 active participants enrolled in the program. A total of 131,728 labor hours were worked, an estimated labor cost savings to the user agencies of 1.3 million dollars. Jail days diverted to SCWP, saving the cost of incarceration, was 1.8 million dollars.